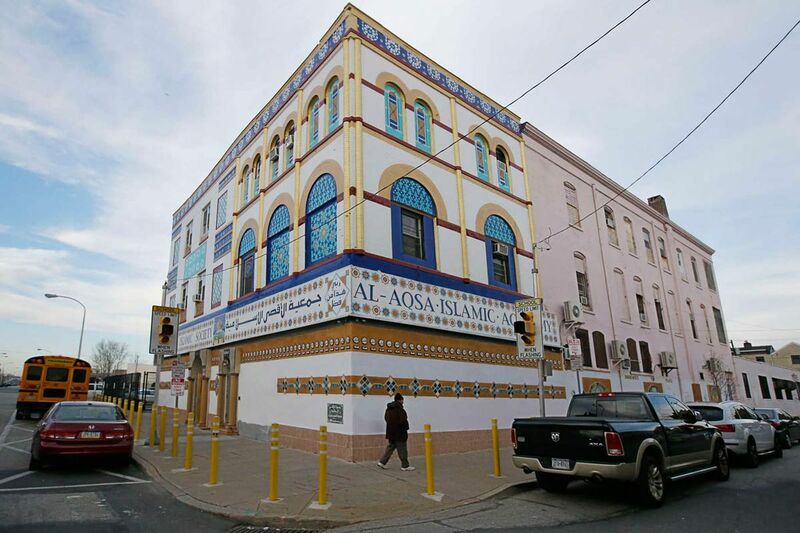 The Al Aqsa Islamic Society, on Germantown Avenue near Jefferson Street. A visiting imam accused of making anti-Semitic statements at a North Philadelphia mosque has said the slurs attributed to him are “completely false,” prompting the Anti-Defamation League on Monday to label him “shamefully unrepentant” and his denial “brazen." Abouhatab delivered at least three sermons at Al-Aqsa over several months starting last November, when he was recorded calling Jews “the vilest” people and, in a discussion of the 1982 Sabra and Shatila massacre in Lebanon, referred to former Israeli Prime Minister Menachem Begin as a “Polish crook” who would take bets about the gender of a pregnant woman’s baby and then slit open the woman’s stomach. The statements, contained in a five-minute compilation video, were released last week by the Middle East Media Research Institute (MEMRI), which monitors and translates Arabic and Muslim media. The Inquirer confirmed the accuracy of the translation with several area professors who are fluent in Arabic. The professors also viewed one hour-long sermon from which several of the excerpts were taken. The imam, who speaks limited English and is known for his skill in reciting the Quran, has spoken at several area mosques but is not employed by any one, said Calvin Shuja Moore, director of Masjid Al-Jamia in West Philadelphia. The imam, who has an Egyptian background, served at that mosque for 10 years before he was let go about three years ago, Moore said. While serving in West Philadelphia, Abouhatab did not make “any kind of controversial statements,” Moore said, but was “a little political,” which is one reason he is no longer there. The imam was let go primarily because mosque officials wanted him to teach more in the community and perform other duties in addition to preaching, which he declined to do, according to Moore. Leaders of Al-Aqsa, known for its interfaith outreach, immediately apologized for Abouhatab’s statements and said they had launched an investigation. A representative of Al-Aqsa also apologized this weekend at a banquet hosted by the Philadelphia branch of the Council on American-Islamic Relations (CAIR) in Springfield, Delaware County. Officials of the Anti-Defamation League (ADL) in Philadelphia have talked with leaders at the mosque, and said they were “grateful for Al-Aqsa’s rapid response” and heartened by the mosque’s declaration that “hate against Jews or any group” will not be tolerated. In response to Abouhatab’s Saturday statement, the ADL called the imam’s denial "flying in the face of multiple expert translations.” Abouhatab is “shamefully unrepentant for spouting anti-Jewish hate,” the ADL’s statement said. The organization has conferred with the city’s Commission on Human Relations about the incident and will continue its interfaith work with Al-Aqsa as the mosque investigates the series of sermons, the ADL said. The group is working to schedule a meeting with mosque leaders, said Nancy K. Baron-Baer, the ADL’s regional director.